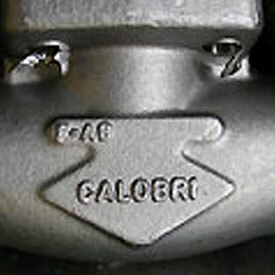 a.	Calobri uses only forgings from Italy to guarantee the best quality. All Calobri trim component are all forged. b. All valves are tested 100% fully to API598 assembly stage and retested by final QC Inspectors. 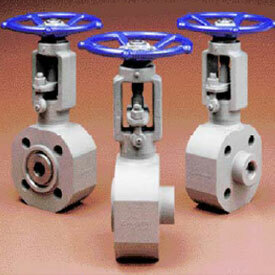 c.	All valves supplied with 3.1B certs inclusive of Mill Test reports. Extensive exotic metal materials experience. Same common manufacturing facilities as OMB; Calobri and OMB are both owned and operated by Eli. Fin. Calobri, founded in 1949, initially specialized in severe application valves in forged steel offshore applications. Eventually acquired major oil companies approvals in the 70s, and now is a well known brand with outstanding record of service and quality. 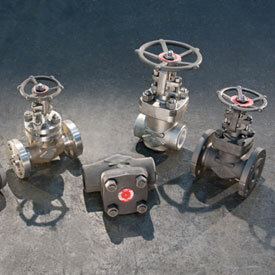 Calobri, OMB Valves, and OMB Fluicon are commonly-owned sister companies and share common manufacturing facilities, capable of manufacturing over 120,000 valves monthly. Its experience and manufacturing capacity means that when quality valves, valves with exotic metals or high quantity of valves are needed, Calobri delivers quality and quantity on-time.